MARKETING, with all the planning and strategies, the smallest details such as email subject lines to the biggest campaigns – can get overwhelming at time. Chances are a lot of your effort gets wasted on unnecessary tasks just because you don’t know it’s unnecessary in the first place. Eliminating the waste and removing the manual work is what using automation is all about. It helps you weed out low-quality leads, improve your social media content by helping you personalize it, gives you all kinds of data to track every tiny detail and that’s only the beginning. From the experience of running my own startup, I found that marketing automation is the best thing that can ever happen to your ROI. Marketing automation brings all of your marketing data at one place. You will have a centralized data warehouse which contains all that you will need for making marketing decisions. It makes it easy to analyze data and trends, monitor activities, draw inferences based on the results etc. I personally feel that this helps you make holistic decisions which address all the weaknesses and strengths in marketing. This data can help you eliminate wasted efforts in a particular area or help you understand which segments are worth your time and effort. 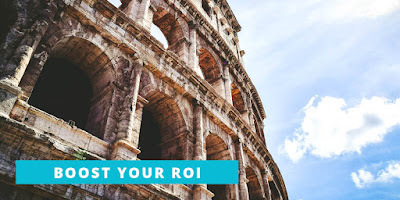 Decisions such as these can boost your ROI through the roof. I think this is one of the most helpful aspects of marketing automation. You don’t have to wait until the end of the month to gather all the data and then decide how your performance. You can track it every hour if need be and make necessary changes to cope with the results you see. Automation not only helps your track real time but also automate workflows that are triggered by these metrics. You can track the user’s search history on your website and trigger a workflow to send recommendations accordingly. You can automatically create a list of ‘Hot leads’ when the websites visits of the lead hit a certain threshold and trigger a series of emails which can help convert them. You can track to see which type of content is bringing in more results and invest time and effort accordingly. You can monitor your marketing campaigns and depending on the results you can decide whether to continue or pull the plug. You can also use tools to capture the contact information and build email lists. Also, it allows you to prioritize and segment these lists according to the user activity stats. Automation tools help you get additional information on already established leads and using this information you can customize your promotional content to their needs and requirements. Personalized content drives more results than shooting generic emails at your leads. You can also implement social media automation; it helps you maintain a consistent and strong social media presence. For example, by automating to retweet your tweet after a week, there are chances some more people will view the tweet the second time around, increasing your exposure. You can, in fact, have a variety of social updates to promote your content. For example, every time you post a new article on your website, you can automate such that a tweet, a Facebook post promoting your new post goes live. This will bring in more traffic and hence, more prospects. At Hiver, we use automation to promote our blog content. We run an algorithm to decide the category of post that would appeal the most to a user based on their behaviour on our website, and send them similar posts in our newsletters that follow. This has helped us improve our newsletter click rates by 150% in the last one year itself. I found that automation can be extensively helpful in designing a scoring system that helps you define what a quality lead is. Once you determine the quality of the lead, you can target your marketing efforts accordingly, thereby helping you focus more on leads which have a higher probability of converting. Another big boost to the ROI, I must say. While designing a scoring system in the traditional way, you can only include a few important parameters. For example, for B2B marketers it includes parameters such as company size, industry, etc. But, when you use automation, you can set as many advanced parameters as you like, such as content downloaded, website visits, social media interaction, and the list goes on. This will help you determine highest quality leads and take necessary actions to convert them. Being able to use smart lead forms to build the customer profile in your database is another great advantage. Instead of designing lead forms which have tens of columns for prospects to fill, you can use what Hubspot calls ‘progressive profiling’ to slowly gather additional information about your leads and improve conversion rates. This will, again, eliminate unnecessary effort, improving your content’s ROI. The real-time monitoring of results using automation allows for us to use A/B testing extensively on various aspects of marketing such a content promotion, email marketing, CTAs and more. You can run an A/B test to show one version to some users and another version to the rest. You can automate the process and monitor the results to see which one is bringing your a higher conversion rate. For instance, you can boost your email marketing performance using testng. According to the Direct Marketing Association, 68% of digital marketers rated the ability to test new campaigns as having the greatest impact on their email marketing efforts. This is not exactly surprising because testing lets to try new tactics while simultaneously reducing the risk. In short, A/B testing automation workflows will help you test out new ideas without impacting the results too much. Tracking these testing results can help optimize the marketing strategy to bring in the most results for the least effort. Remember that although there are gazillion marketing automation solutions and tools out there, you don’t have to overwhelm yourself by investing in all of them. Systematically try out some tools and figure which ones work best for you; this will help you get the most out of automation. Additionally, like they say, automation is here to assist humans, and not take over – the human instinct is still the real driver of change. Have thoughts to add? Please share on social media and comment below!